Bull Run is approaching an all-time high level of home sales, and this relatively young neighborhood is still producing new construction homes that buyers love. 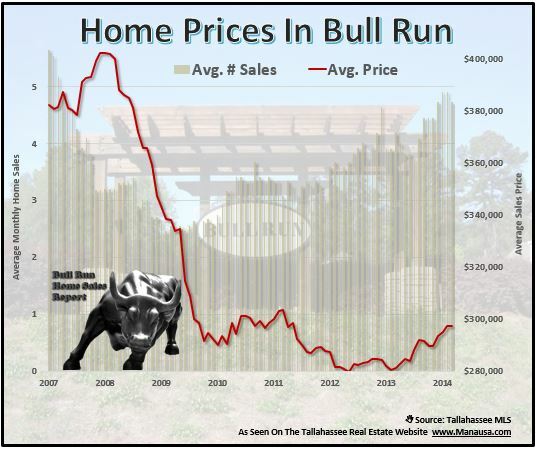 In the past twelve months, 61% of home sales in Bull Run have been new construction. Though buyer activity is still very hot, this popular NE Tallahassee neighborhood has yet to see it's "resale" side of the market take-off. The primary reason of course is that most homeowners "just moved there" over the past seven years. 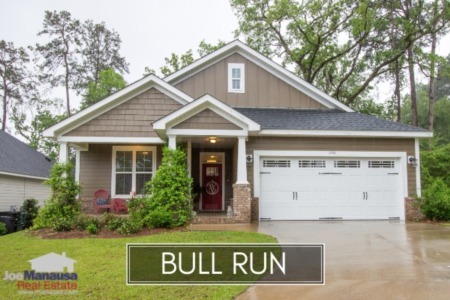 Bull Run continues to be one of the top selling neighborhoods in Tallahassee (along with Southwood, Killearn Lakes Plantation, Killearn Estates, and Golden Eagle Plantation), we keep a close eye on Bull Run to gain insight on changing trends for the entire Tallahassee real estate market. Thus far in 2014, there have been 10 homes sold in Bull Run, all were arms length sales (no foreclosures or short sales), 3 were existing home sales and 7 were new construction. Currently, there are 26 homes for sale in Bull Run, with many of these being new construction homes. Even as they continue to build more, the relative supply of homes in Bull Run is balanced at just under 6 months of supply. Existing homes must be priced well and marketed well in order to pull buyers away from the brand new homes. 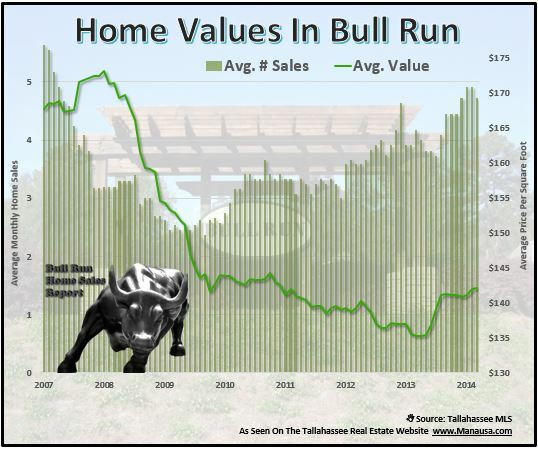 After hitting a market low below 3 home sales per month back in 2009, Bull Run has seen sales grow steadily and are now approaching 5 home sales per month. Home values continue to rise after hitting bottom last year. Distressed properties sales have declined greatly, with the last short sale having closed in September of last year. Home prices continue to recover from a bottom found early in 2013. Currently, the average sales price of an of both new and existing homes in Bull Run is roughly $297,000, which equates to $145 per square foot new and $137 per square foot for existing (the newer homes are typically smaller than the existing ones in Bull Run). Combining the two means you are getting a 2,079 square foot home for just under $290K in a highly desirable NE Tallahassee neighborhood. The following map shows the Bull Run homes that are on the market today. If you want more information on a particular home, simply click on the marker on the map and it will open up the listing to show you up to 25 pictures of each home. 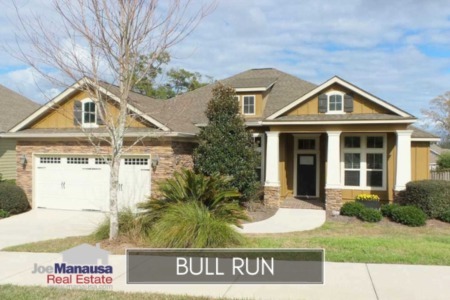 The following is a list of all homes sold in Bull Run (recorded in the Tallahassee MLS). I hope you were able to learn something from this Bull Run Home Sales Report, please drop me a note if you have any other questions or concerns that I can help you with.